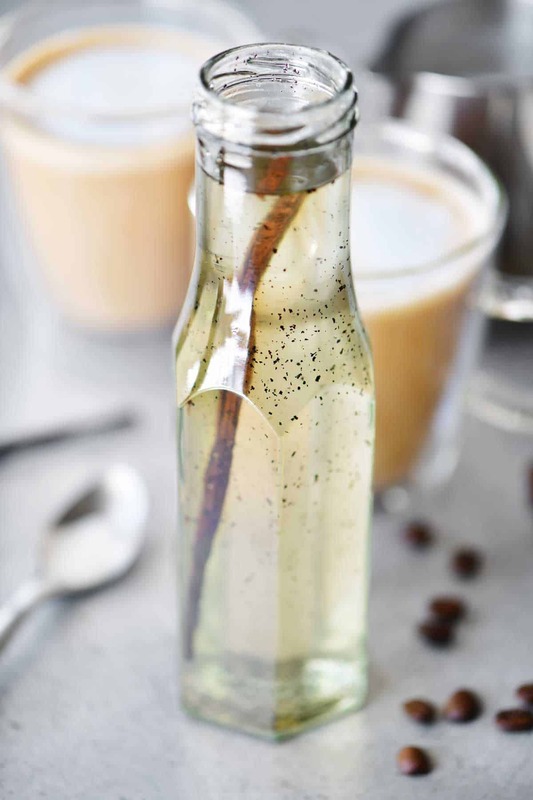 Vanilla Bean Syrup is perfect for making vanilla bean lattes. 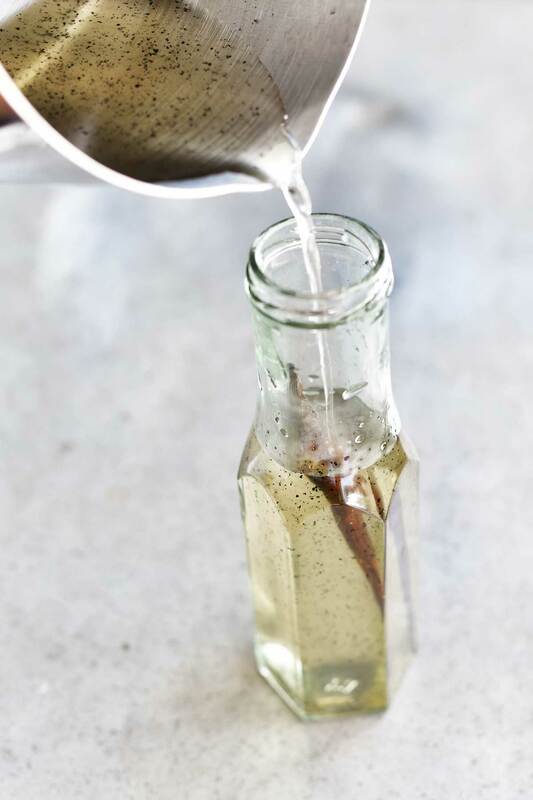 Making this vanilla bean syrup recipe at home with only three ingredients is super easy and most grocery stores sell vanilla beans. One of my friends is slightly obsessed with vanilla bean lattes which are great things to be in love with except for the fact that hardly any coffee shops sell them especially the chain ones that can be found everywhere. In fact, the closest coffee shop to her house that sells vanilla bean lattes is about 35 miles away. 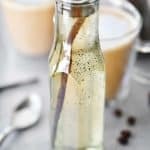 So, I decided to share a recipe for making vanilla bean syrup for all your favorite coffee drinks! What’s so special about a vanilla bean latte? It’s the vanilla bean syrup and vanilla bean syrup is all about the beautiful little black vanilla bean seeds. You can make vanilla syrup for coffee using vanilla extract but when it’s missing the vanilla bean seeds it’s just not the same. 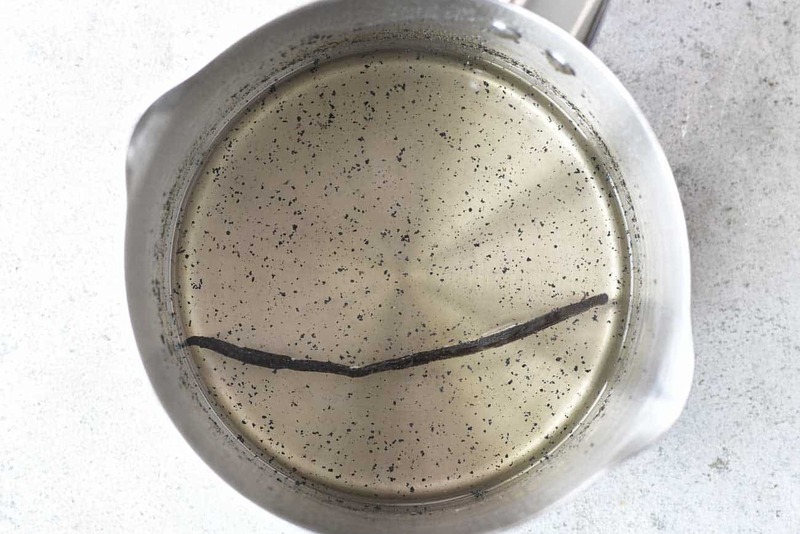 Put one cup of granulated sugar and one cup of water in a saucepan. Slice open a vanilla bean in half lengthwise. Spread open the vanilla bean pod and use your knife to scrape out the vanilla bean seeds. Add the seeds and the vanilla bean pod to the saucepan and stir. Bring to a boil and stir for 1-2 minutes until the sugar is dissolved. Remove from heat and allow the syrup to cool. Pour into a plastic or glass bottle or jar. Add the vanilla bean pod, if desired. Allow the vanilla bean syrup to cool completely, cover, and store in the fridge for about one week or possibly up to two weeks. First I want to share my FAVORITE kitchen appliance with you. 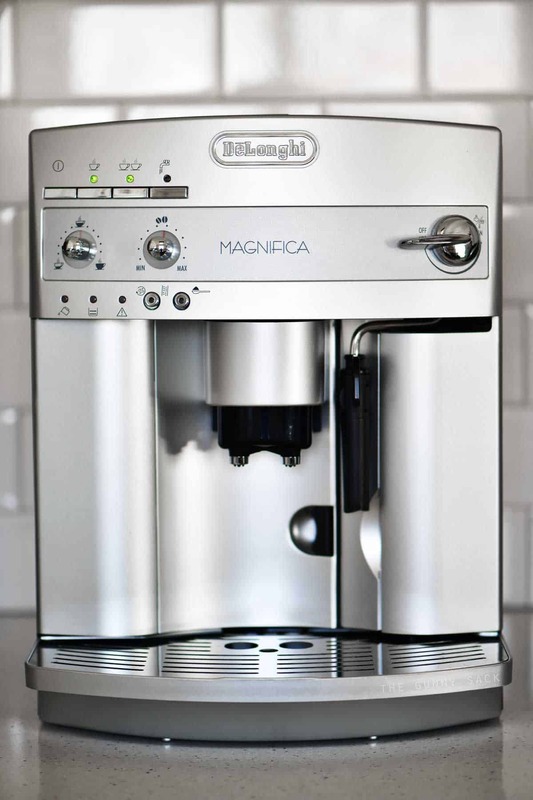 This is my Delonghi Magnifica Super Automatic Espresso Machine. It was my Christmas gift from my wonderful husband and it makes me happy daily! With just the push of a button, it grinds the beans and I get the most delicious coffee with a gorgeous crema on top. I can still make decaf coffee while having regular espresso beans in the machine. It also has a milk frother that I use to steam and froth milk as well as make my favorite chai tea. 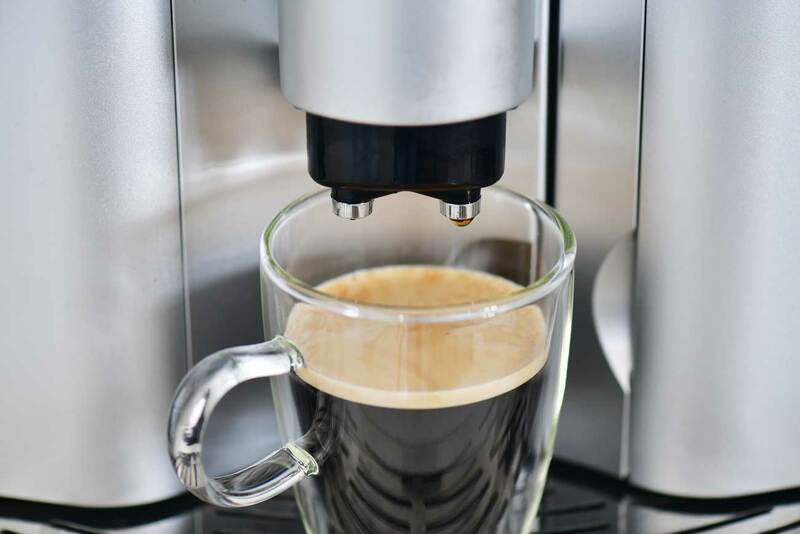 After doing lots of research, reading reviews, watching videos and doing comparisons, the main reasons I chose this machine are the price point when compared to other espresso machines, the ease of use, and personal recommendations. I know at least 5 people who have a Delonghi espresso machine and one of those people who recommended it to me has had it for over 5 years and still loves it. For a Vanilla Bean Latte, start with a cup of freshly made strong coffee. I used my espresso machine and these fabulous coffee beans. When using a Keurig, try these espresso K-Cups. For a drip coffee machine, try this ground espresso. Or if you don’t have a coffee machine, try this instant espresso. Add as much vanilla bean syrup as you want. One pump of vanilla bean syrup from a coffee shop is about 1/2 tablespoon. Then add steamed milk. Again, I used my espresso machine to make the steamed milk/frothed milk. If you don’t have a milk frother, heat your milk in the microwave or on the stovetop until it is between 140 and 155 degrees. Then, use a whisk to beat air into the milk until it is foamy. 1. Where can I find vanilla beans? They are in the spice section of most grocery stores. Sometimes they come in a sealed bag and sometimes in a glass jar. Vanilla beans can also be ordered online. 2. Can I substitute vanilla extract? Yes, you can use vanilla extract in place of the vanilla bean. Add 1-2 teaspoons of pure vanilla extract (depending on how much you like) after you’ve finished boiling the syrup. 3. 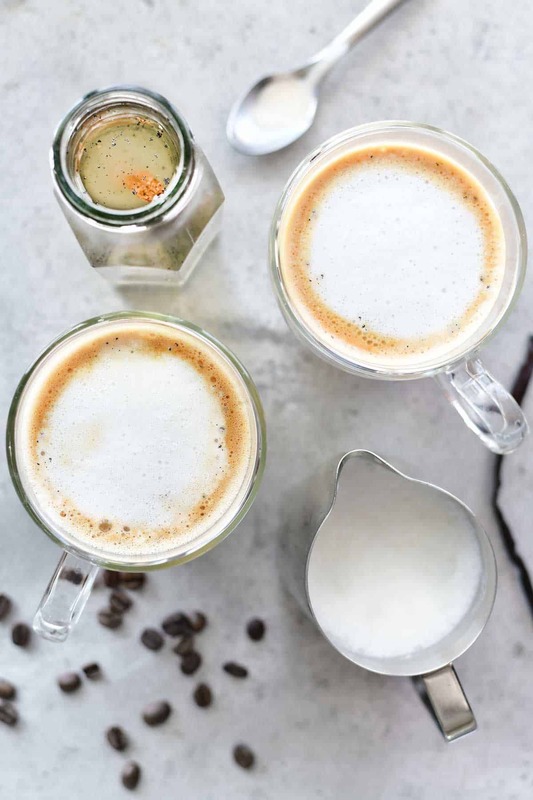 Can this recipe be used to make other coffee syrups? Yes, just add your chosen flavorings, extracts or oils after you’ve finished boiling the syrup. 4. What else can this vanilla bean syrup be used for? Besides using vanilla bean syrup in coffee drinks, it can be used in other beverages from lemonade to Italian soda. Try it on top of ice cream, fresh fruit or use it on a cake before frosting it to help keep it moist. 5. How long does this vanilla bean syrup last? It lasts about one week and possibly up to two weeks when stored in an airtight container in the fridge. 6. 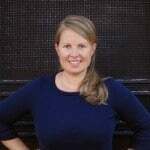 Can vanilla bean syrup be stored in the freezer? Yes! 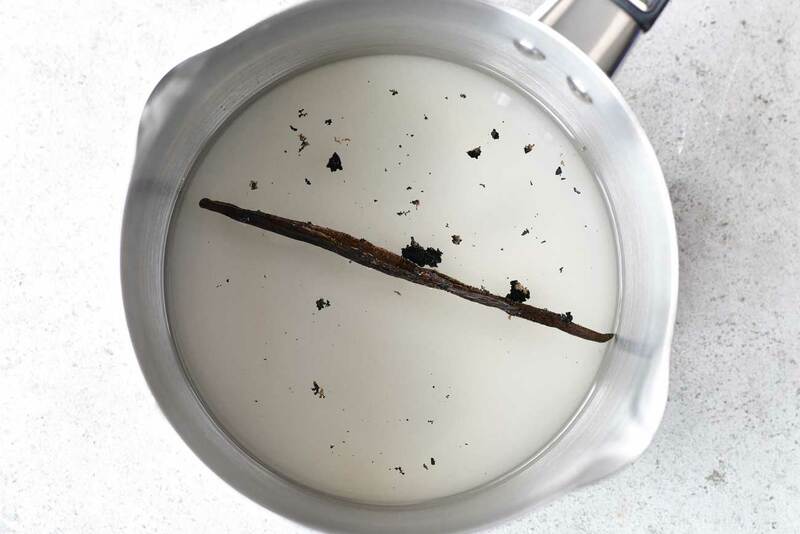 Remove the vanilla bean pod and pour the syrup into an airtight, plastic bag or container before placing in the freezer. 7. Where did you find the glass bottle? I found the Kilner Twist Top Glass Bottle at Target. Put the granulated sugar and water in a saucepan. Slice open a vanilla bean in half lengthwise. 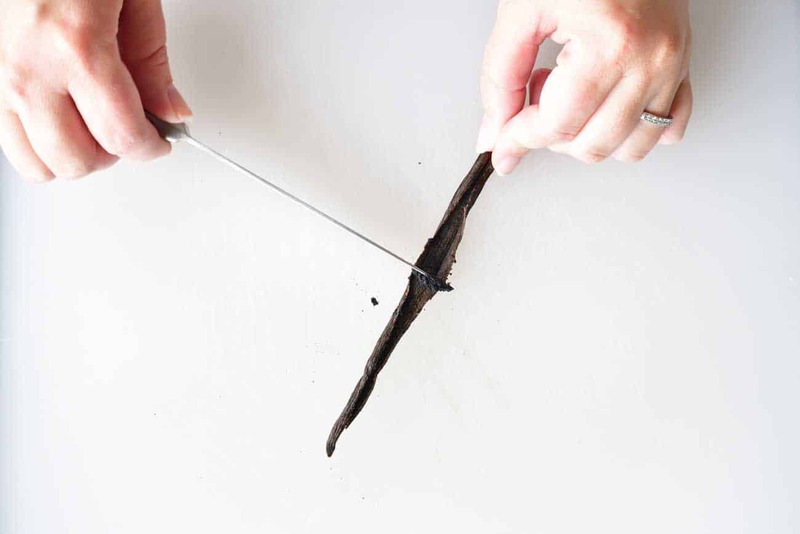 Spread open the vanilla bean pod and use your knife to scrape out the vanilla bean seeds. Add the seeds and the vanilla bean pod to the saucepan and stir. Remove from heat and allow the syrup to cool. Pour into a container. Allow the vanilla bean syrup to cool completely, cover, and store in the fridge for about one week or possibly up to two weeks. Click here to pin this recipe to your Pinterest boards. The pictures and Photography are great! It was very fine in taste. Thanks for the wonderful recipe. Thank you for the vanilla bean syrup!! I love it!